370 Lake Frances is an Estate Home for sale and located in The Shores of the Lake Frances Subdivision. The Lake Frances Subdivision is located very conveniently in West Columbia, South Carolina. This location is only a 15-20 drive from downtown Columbia and a 15-20 drive from the growing Lexington, SC. The area has many conveniences like shopping centers, including a new Walmart and Lowes Home Improvement Store, access to Interstates, parks and recreation! 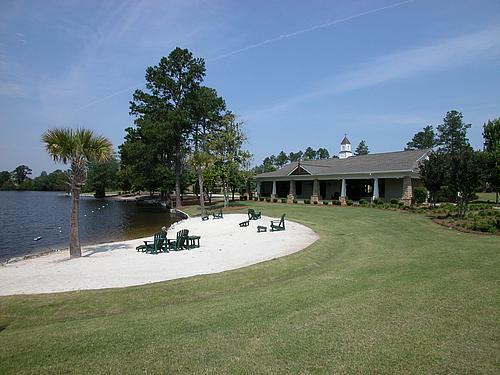 The Lake Frances Subdivision itself is a very unique place to live, offering many wonderful amenities to its residents. The lake offers a pier for fishing, a beach for swimming, and wooden swings for enjoying the sunsets. A family-friendly, zero-entry pool and cabana offer a great summer escape. There is a playground, volleyball court and even a large clubhouse offering plenty of things to do right inside the community! Lake Frances is zoned for Lexington School District One. This is an award winning school district in the midlands of SC! Currently children living in this subdivision will attend Saxe Gotha Elementary, White Knoll Middle and White Knoll High School. 370 Lake Frances Drive is a fantastic opportunity to own a home in this fantastic neighborhood that is better than new! At only 2 years old, this home offers plenty of extras but still has the feeling of a new home! This home was built by Crown Builders and is their very popular Edward floorplan. This particular homesite offers 2 uncommon features available in the area though: a large basement, currently unfinished but divided and ready to easily finish for additional square footage AND a large, fairly flat backyard! The home is over 4100 square feet with 5 bedrooms and 4 full bathrooms! This home has an elegance and warmth that is amplified by a beautiful exterior and fantastic floorplan. Besides sitting on a large, beautiful lot, the construction of this home is a combination of brick, stone and hardi-board (or cement board). There is a front porch that carries you into a grand, 2-story foyer with large windows for lots of natural light. The hand-shaved, hardwood flooring carries you from the foyer into a formal dining room on the left. The dining room has 2-piece crown molding and wainscoting as well as a beautifully coffered ceiling. On the right of the foyer is a formal living room or fantastic office or playroom. The great room, at the center back of the home is very spacious with almost new, upgraded carpeting and a wood-burning fireplace. With arched entryways, the great room and formal dining room area open to the kitchen. The kitchen is also spacious and features upgreaded cabinetry, upgraded, stainless steel appliances (including a gas range and double ovens). An island adds even more countertop and cabinetry and the beautiful pendant and recessed lighting show off the gorgous granite countertops nicely. There is a walk-in pantry and a raised bar. Besides the bar, there is more eating space in dining area with a bay window overlooking the backyard. An exterior doorway in this area also leads to a back deck. Inside, ceramic tile covers the kitchen and dining area floor and forms a beautiful backsplash around the counter. A granite-topped desk between the kitchen and greatroom is a beautiful and convenient feature. On the opposite side of the greatroom, a small hallway leads to a large, downstairs bedroom and also a full bathroom. As you go up the staircase with beautiful iron spindles, there is a large open loft. This is a fantastic space for a second family room, office space or relaxation area. Around this loft and stair case are 3 extra bedrooms and 2 full bathrooms. While one bathroom is a true hallway bathroom, the other is a Jack'n'Jill bathroom accessed from 2 bedrooms. The bedrooms all have vaulted or high ceilings and walk in closets. One of the most breathtaking parts of this beautiful home is the Master Suite, also located on the second floor. This bedroom has a double door entry to a vaulted huge room with a sitting room to one side. The sitting room is framed by columns and has an electric fireplace for ambiance. The private Master Bathroom has a 6 foot long, jetted tub, his and hers vanities with cultured marble countertops and a ceramic tile shower with double heads! There is also a his and hers walk-in closet. One of the gems of this home is a large, unfinished basement adding so much more space! This is great for storage, for a game room or easily finish it for added square footage and value! · Sound system and flush mount speakers throughout most of home and on the deck! · Master Bathroom bathtub upgraded to 6 feet ! And jetted ! · Master Bathroom shower is tiled with additional soap holders and DOUBLE shower heads! · Huge unfinished basement with framing and ready to finish!